What is the Chapman Stick? 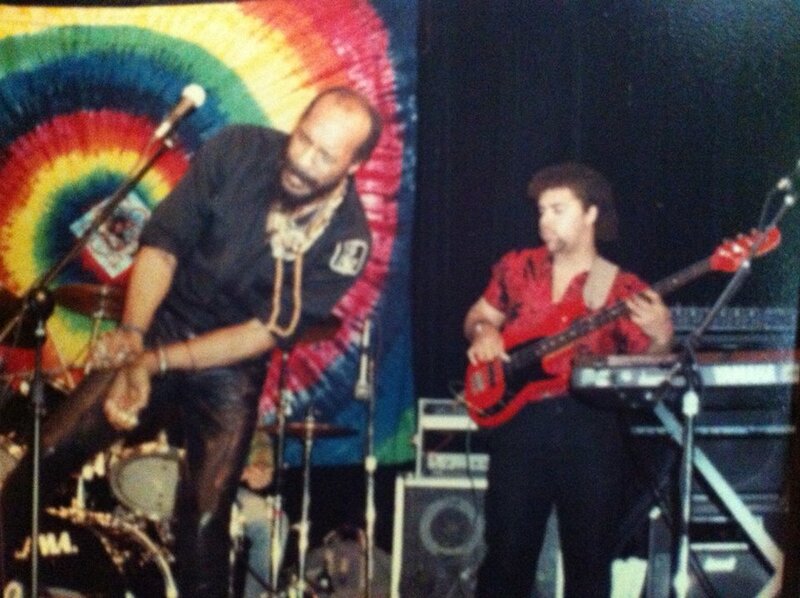 Sly and Richie Havens 1986 Sly’s 1st pro-gig. For years, whether as a band-leader or a sideman, Sly Geralds has performed with some of the most influential artists of our time. He’s a singer and songwriter who has traveled the world and back with some of the most influential musical artists of our time. He has spent the last several years recording and sharing the stage with musical giants such as Maceo Parker, Al Green, Levon Helm, Richie Havens and Bob Dylan to name a few. 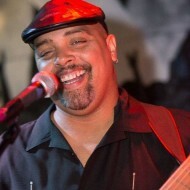 He has now put his many years of experience to use as the leader and front man of the Sly Geralds Band. Sly has gathered a group of seasoned professionals to help bring his original music to life. 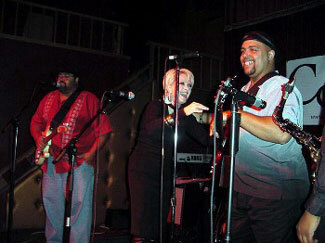 Their style seamlessly blends elements of blues, funk, soul and rock. Sly’s music gives a nod to the masters of roots music while still maintaining a contemporary feel. His time spent in New Orleans has influenced his writing, as has living in New York City for most of his life. The experience of seeing a live performance of the Sly Geralds Band borders somewhere between a rock show, dance party, Mardi Gras parade and tent revival. The rhythm section throws down an infectious groove driven by Sly’s thunderous bass while the guitar and horns soar high above. Sly’s banter with the audience is equally impressive. He cajoles the audience into leaving their workday worries behind and joining him on the dance floor to “shake what their mama gave them! The band is also up to the task when it comes to entertaining the crowd by playing “the hits. You never know when they’ll break into a smoldering version of a “classic song” by Al Green, James Brown, The Rolling Stones or any number of blues, funk, rock or soul standards. The Sly Geralds band makes regular appearances in the hottest clubs in the New York metropolitan area as well as blues festivals around the U.S. and abroad. 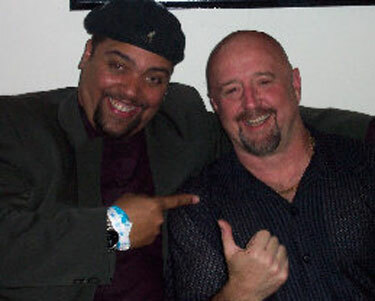 The Sly Geralds Band is a Rootsy, Blues laden six piece funky horn driven band, whose blend of “the New Orleans sound” meets the “urban funk” of New York City. The Sly Geralds Band’s highly infectious grooves have kept the crowds rocking internationally for the past several years.